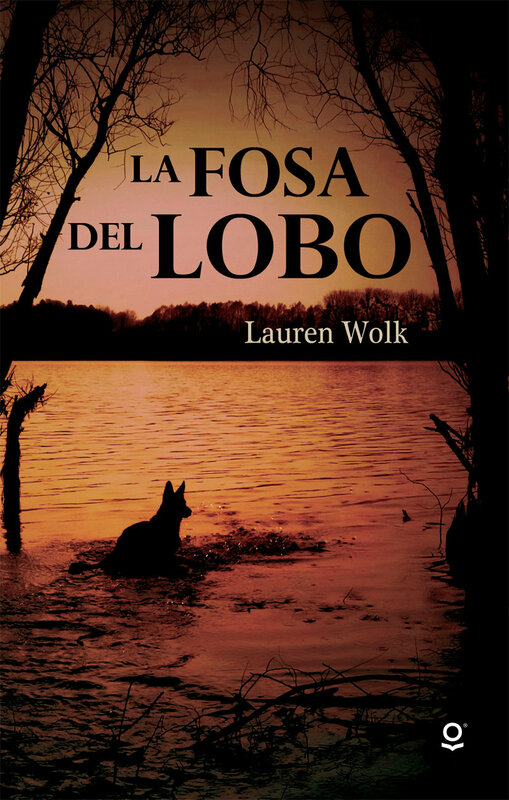 La Fosa del Lobo (Wolf Hollow) by Lauren Wolk. May 1, 2018. Loqueleo, 280 p. ISBN: 9786070134272. Int Lvl: 5-8. Grades 5-8. Eleven-year-old Annabelle is living a relatively idyllic life on her family’s Pennsylvania farm, until its normalcy is interrupted by Betty Glengarry, who has been sent to live with her grandparents because she is “incorrigible.” Betty’s sullen presence quickly upsets the one-room school’s traditional pecking order, and Annabelle and her younger brothers are Betty’s favorite targets—until Annabelle stands up to her. Not to be outdone, Betty shifts her attention to Toby, a strange WWI veteran already saddled with a dubious reputation within the community. Wolk conjures an aura of unease and dread from the first chapter, even as her pastoral setting and Annabelle’s sunny family life seem to suggest that a happy ending is possible. The spare but hauntingly beautiful language paints every early morning walk to school, household chore, emotion, and rational and irrational thought in exquisite detail, while remaining true to Annabelle’s early-adolescent voice. Her craft notwithstanding, Wolk is relentless in her message: lies and secrets, even for the most noble of reasons, have unintended consequences, as Annabelle’s poignant dilemma reminds us long after the last page is turned. Perfectly pitched to be used in classrooms in conjunction with To Kill a Mockingbird. Lauren Wolk is an award-winning poet and author of the bestselling Newbery Honor–winning Wolf Hollow, described by the New York Times Book Review as “full of grace and stark, brutal beauty.” She was born in Baltimore and has since lived in California, Rhode Island, Minnesota, Canada, and Ohio. She now lives with her family on Cape Cod. 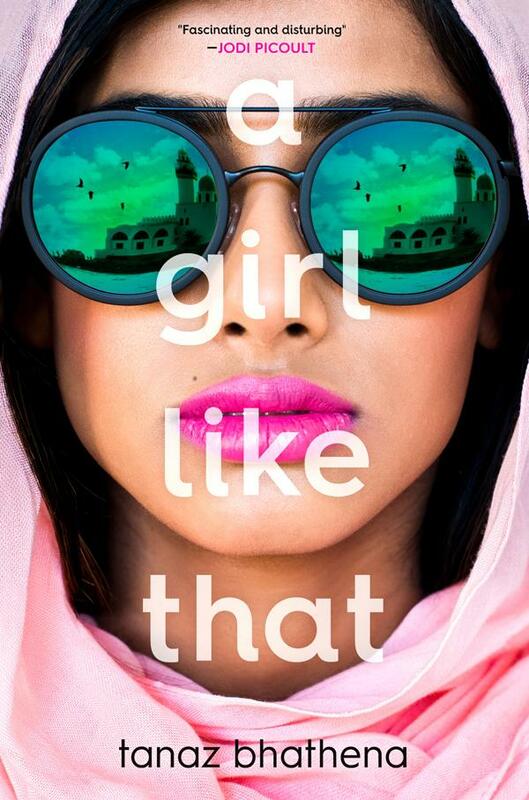 A Girl Like That by Tanaz Bhathena. February 27, 2018. Farrar Straus Giroux Books for Young Readers, 378 p. ISBN: 9780374305444. Int Lvl: YA; Rdg Lvl: YA; Lexile: 890. Tanaz Bhathena was born in Mumbai and raised in Riyadh, Jeddah and Toronto. Her short stories have appeared in various journals, including Blackbird, Witness and Room Magazine. A Girl Like That is her first novel. 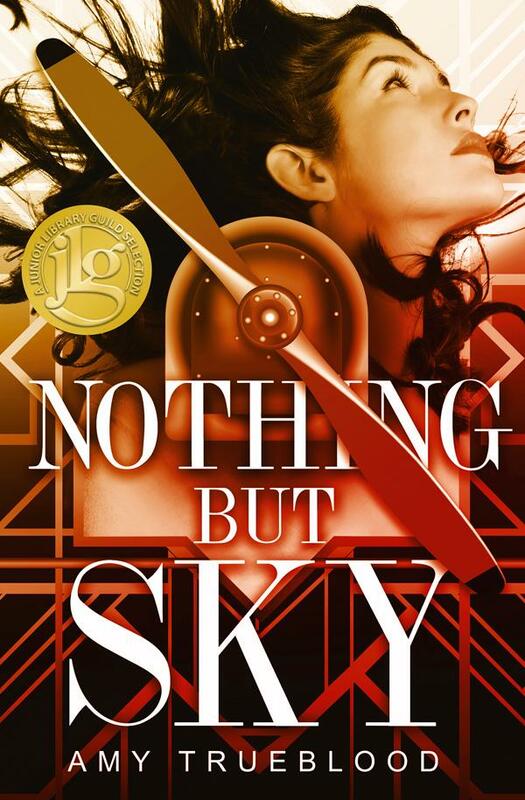 Nothing But Sky by Amy Trueblood. March 27, 2018. Flux, 284 p. ISBN: 9781635830163. Int Lvl: YA; Rdg Lvl: YA; Lexile: 750. Grades 7-10. For 18-year-old Grace, there’s nothing better than walking an airplane’s wings while it soars through the sky. As part of her uncle Warren’s barnstorming team, the Soaring Eagles, she spends her time devising risky new tricks to do in the air, because while her life may be thrilling, it’s far from glamorous. With increasing competition, she and her team work hard to draw a crowd, and often they don’t take in enough money to get a hotel when they’re on the road. Still, Grace has her sights set on competing in the 1922 World Aviation Expo in Chicago, where a win would mean a Hollywood contract and financial stability. Independent and headstrong, Grace is thrown for a loop when Henry Patton, a handsome war vet, becomes the Soaring Eagles’ new mechanic and sets her heart aflutter. Romance, however, takes a backseat to the competition and sabotage attempts by a rival team. Trueblood’s debut is an exhilarating historical novel with a strong feminist core that will appeal to a broad range of readers. Amy Trueblood grew up in California only ten minutes from Disneyland which sparked an early interest in storytelling. As the youngest of five, she spent most of her time trying to find a quiet place to curl up with her favorite books. After graduating from the University of Arizona with a degree in journalism, she worked in entertainment in Los Angeles before returning to work in Arizona. 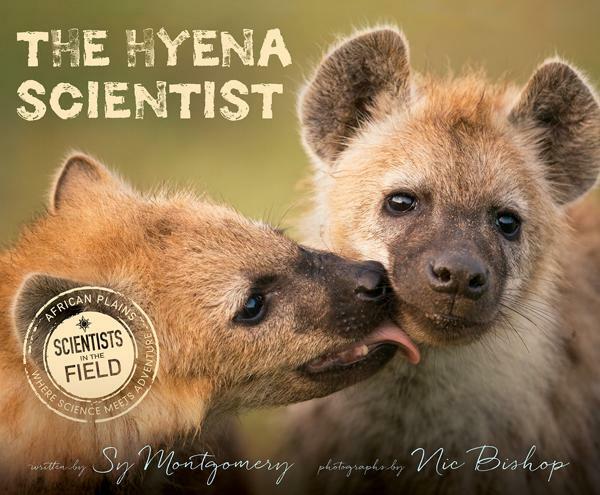 They Hyena Scientist by Sy Montgomery. May 15, 2018. HMH Books for Young Readers, 80 p. ISBN: 9780544635111. Int Lvl: 5-8; Rdg Lvl: 7.5. The Hyena Scientist sets the record straight about one of history’s most hated and misunderstood mammals, while featuring the groundbreaking, pioneering research of a female scientist in a predominately male field. Part Indiana Jones, part Emily Dickinson, as the Boston Globe describes her, Sy Montgomery is an author, naturalist, documentary scriptwriter, and radio commentator who has traveled to some of the worlds most remote wildernesses for her work. She has worked in a pit crawling with 18,000 snakes in Manitoba, been hunted by a tiger in India, swum with pink dolphins in the Amazon, and been undressed by an orangutan in Borneo. She is the author of 13 award-winning books, including her national best-selling memoir, The Good Good Pig. Montgomery lives in Hancock, New Hampshire. 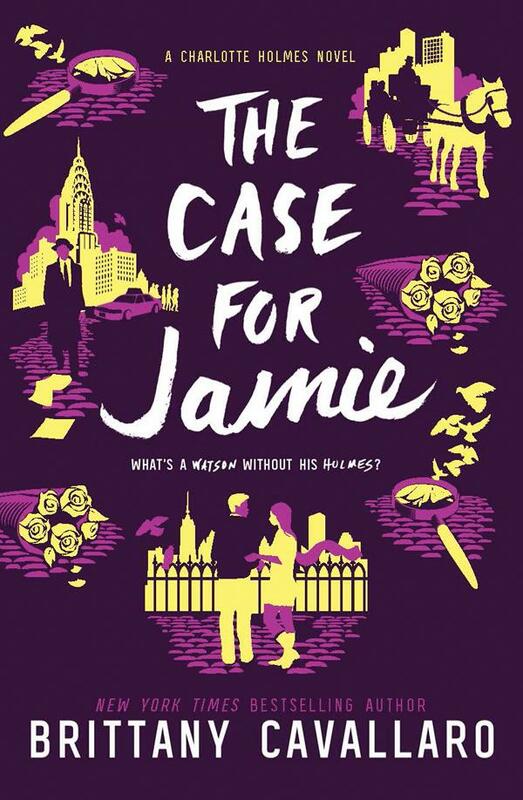 The Case for Jamie by Brittany Cavallaro. March 6, 2018. Katherine Tegen Books, 349 p. ISBN: 9780062398970. Int Lvl: YA; Rdg Lvl: YA; Lexile: 720. It’s been a year since the shocking death of August Moriarty, and Jamie and Charlotte haven’t spoken. Jamie is going through the motions at Sherringford, trying to finish his senior year without incident, with a nice girlfriend he can’t seem to fall for. Charlotte is on the run, from Lucien Moriarty and from her own mistakes. No one has seen her since that fateful night on the lawn in Sussex—and Charlotte wants it that way. She knows she isn’t safe to be around. She knows her Watson can’t forgive her. Holmes and Watson may not be looking to reconcile, but when strange things start happening, it’s clear that someone wants the team back together. Someone who has been quietly observing them both. Making plans. Biding their time. Someone who wants to see one of them suffer and the other one dead. 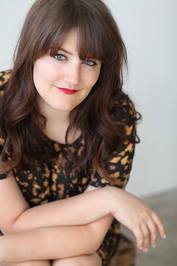 Brittany Cavallaro is a poet, fiction writer, and old school Sherlockian. 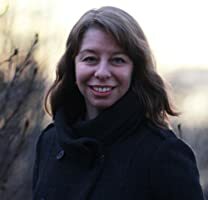 She is the author of the Charlotte Holmes novels from HarperCollins/Katherine Tegen Books, including A Study in Charlotte and The Last of August. She’s also the author of the poetry collection Girl-King (University of Akron) and is the recipient of a National Endowment for the Arts fellowship. She earned her BA in literature from Middlebury College and her MFA in poetry from the University of Wisconsin-Madison. Currently, she’s a PhD candidate in English literature at the University of Wisconsin-Milwaukee. She lives in Wisconsin with her husband, cat, and collection of deerstalker caps. 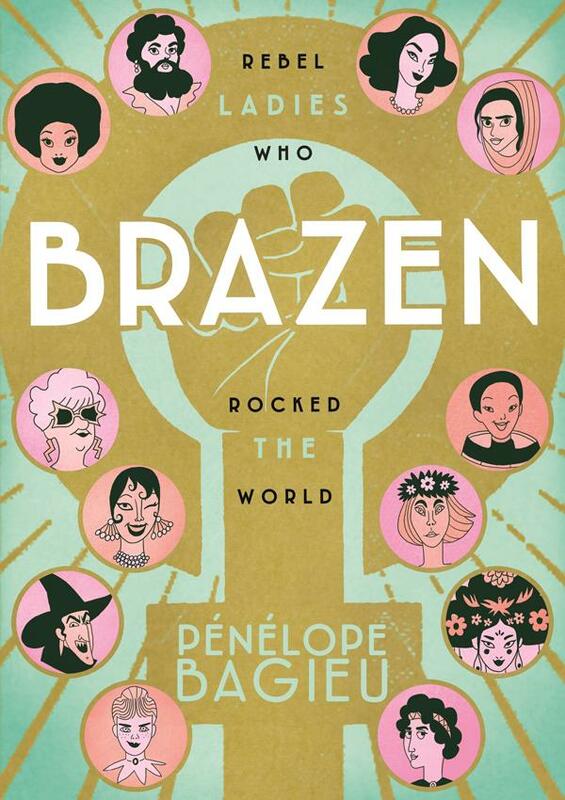 Brazen: Rebel Ladies Who Rocked the World by Pénélope Bagieu. March 6, 2018. First Second, 304 p. ISBN: 9781626728684. Int Lvl: YA; Rdg Lvl: YA; Lexile: 770. Grades 9-12. Step aside Susan B. Anthony and Joan of Arc! French graphic novelist Bagieu’s (California Dreamin’, 2017) latest turns standard feminist anthology fare on its head, introducing 29 lesser-known ladies of various backgrounds, time periods, skin colors, and sexualities. Kicking off with Clémentine Delait, a beloved bearded lady in early twentieth-century France, and concluding with Mae Jemison, the first black woman in space, Bagieu’s vivacious collection spotlights rebels such as Las Mariposas (revolutionary sisters! ), Sonita Alizadeh (Afghan rapper! ), and Nobel Peace Prize–winning Leymah Gbowee (Liberian activist!) along the way. Bagieu’s writing is clever and concise, and panels brim with sly subtleties; Bagieu delivers laugh-out-loud one-liners in bitsy speech bubbles, and summons tragedy with no words at all, and her fine-lined figures are by turns playfully expressive, fierce, and reverent. Additionally, each profile employs its own distinct color palette; Bagieu’s segment on Finnish illustrator Tove Jansson, for example, heavily features the bold blues, greens, yellows, and reds of Jansson’s signature Moomin comics. Bagieu’s dedication to Syrian activist Naziq al-Abid folds in the colors of the country’s flag. This dynamic paean to women’s flair for fearless resistance will have readers happily sifting through history—and tackling the future with renewed verve. Rock on, ladies. Pénélope Bagieu, (born 22 January 1982 Paris), is a French illustrator and comic designer. Pénélope Bagieu graduated with a bachelor’s degree in Economic and Social studies, she spent a year at ESAT Paris, then at the National School of Decorative Arts in Paris and then at Central Saint Martins College of Art & Design. Multimedia and entertainment, where she graduated in December 2006. 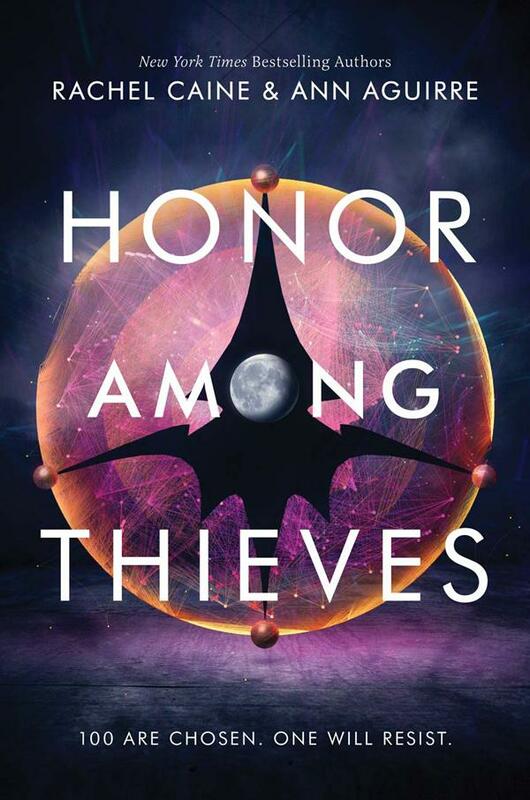 Honor Among Thieves by Rachel Caine & Ann Aguirre. February 13, 2018. Katherine Tegen Books, 467 p. ISBN: 9780062570994. Int Lvl: YA; Rdg Lvl: YA; Lexile: 720. Grades 8-11. Eighteen-year-old, dark-skinned, petty thief Zara Cole inadvertently steals from a major crime boss not known for forgiveness, but, luckily, fate steps in, and she is chosen to be an Honor in the interspecies exchange program between humans and Leviathans. These sentient creature-ships host humans for a year-long space tour with the option of extending indefinitely. Mystery shrouds this program, and as inquisitive Zara, co-Honor Beatriz (a Rio-born musician), and the Leviathan Nadim travel together, its dark side is revealed. Caine and Aguirre create a fresh and fascinating story of interspecies bonding, the power of music, and the effects of trauma on good creatures. A few culturally specific references seem forced, but the bond between the humans and alien is delicately built and inspiring. Nadim (the ship) and Zara share first-person narrative duties, and this is primarily Zara’s story with a few intercut chapters from Nadim’s perspective. Pair this with Philip Reeve’s Railhead (2016), or for a real throwback, bring out Anne McCaffrey’s Brain and Brawn Ship series. 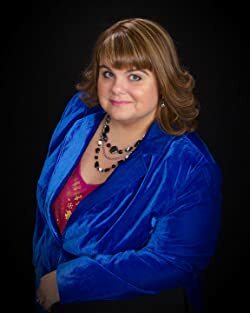 Rachel Caine started writing at 14, and wrote steadily (but privately) until the age of 28, when she got her first novel deal for Stormriders (as Roxanne Longstreet). She published several horror novels under that name, and switched to romantic suspense as Roxanne Conrad. 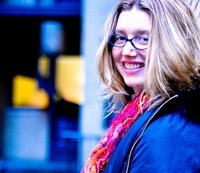 In 2003 she launched into the urban fantasy genre under the name Rachel Caine. 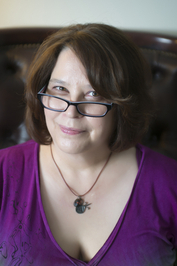 In 2006, she created the Morganville Vampires series in young adult, and premiered the TLA-listed novel Prince of Shadows in 2015, and the new Great Library series with Ink and Bone in 2016. Ascent: A Peak Marcello Novel by Roland Smith. May 8, 2018. HMH Books for Young Readers, 240 p. ISBN: 0765383756. Int Lvl: YA; Rdg Lvl: YA; Lexile:. A few months after returning from Afghanistan, Peak Marcello is in Myanmar visiting Alessia. Myanmar has been in the grips of a brutal military regime for more than fifty years, but recently the government has allowed more tourists to enter. While there, Peak is invited to climb Hkakabo Razi, one of the most isolated mountains in the world, to discover the exact elevation of the mountain. But getting to the mountain will involve a four-week trek through tropical rain forests rife with hazards—from venomous reptiles and leeches to corrupt police and military. In the end, summiting Hkakabo Razi may be the easiest thing Peak does. Grades 7-10. Climbing-prodigy Peak Marcello has scaled skyscrapers and summited mountains before the age of 16, but crossing the tropical rain forest is deadlier than he bargained for. Fellow young climber Alessia and her bodyguard, Ethan, invite Peak on a mission to measure the height of a remote mountain in Myanmar, but first they must brave the surrounding jungle. Out of their alpine element, Peak and his friends confront vicious wildlife, unforgiving terrain, and foes who will stop at nothing to keep the team from reaching the mountain. Surprising allies new and old join Peak for the trek and the treacherous climb to come. The third book of Peak’s adventures includes the same engaging narration, exotic settings, and plentiful perils that won the series’ debut high praise, but the sequels have fallen short of the first’s originality and sharp storytelling. 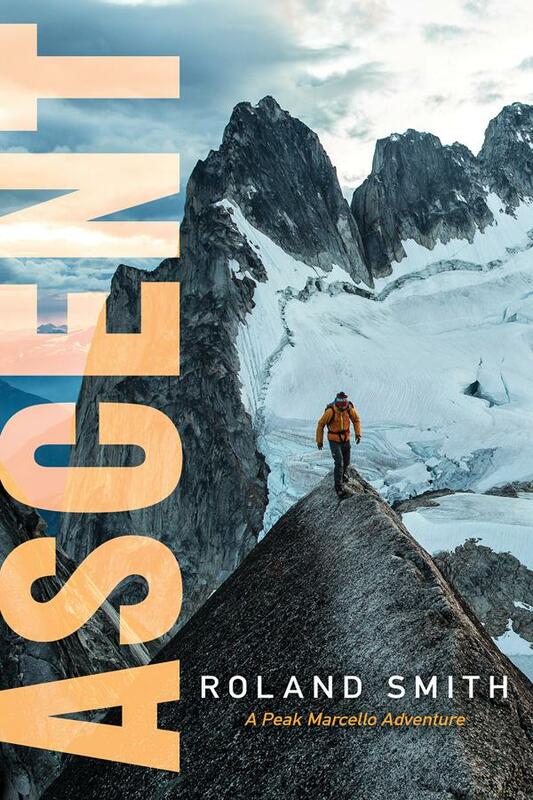 A rambling plot and flat secondary characters do little to draw in new readers, but fans of Peak’s wilderness exploits and his refreshingly old-school, antitechnology attitude will settle for a series installment shy of the heights of Everest. New York Times bestselling author Roland Smith is the author of 28 young adult novels including Peak, The Edge, Beneath, Above, Sasquatch, Elephant Run, Zach’s Lie, Shatterproof (39 Clues), the Cryptid Hunters series, the I,Q series, and the Storm Runner series. His novels have garnered dozens of State and national book awards. He speaks to over 50,000 children and adults every year at schools and conferences all over the world. Becoming Madeleine: A Biography of the Author of A Wrinkle in Time by Her Granddaughters by Charlotte Jones Voiklis and Lena Roy. February 6, 2018. Farrar Straus Giroux, 163 p. ISBN: 9780374307646. Int Lvl: 5-8; Rdg Lvl: 5.8; Lexile: 1090. This middle-grade biography explores the life and works of Madeleine L’Engle –written by her granddaughters–coming just in time for the all-new A Wrinkle in Time film, directed by Ava DuVernay. This elegant and insightful biography of Madeleine L’Engle (1918-2007) was written by her granddaughters, Charlotte Jones Voiklis and Lena Roy. Using never-before-seen archival materials that include photographs, poems, letters, and journal entries from when Madeleine was a child until just after the publication of her classic, A Wrinkle in Time, her granddaughters weave together an in-depth and unique view of the famous writer. It is a story of overcoming obstacles–a lonely childhood, financial insecurity, and countless rejections of her writing–and eventual triumph. 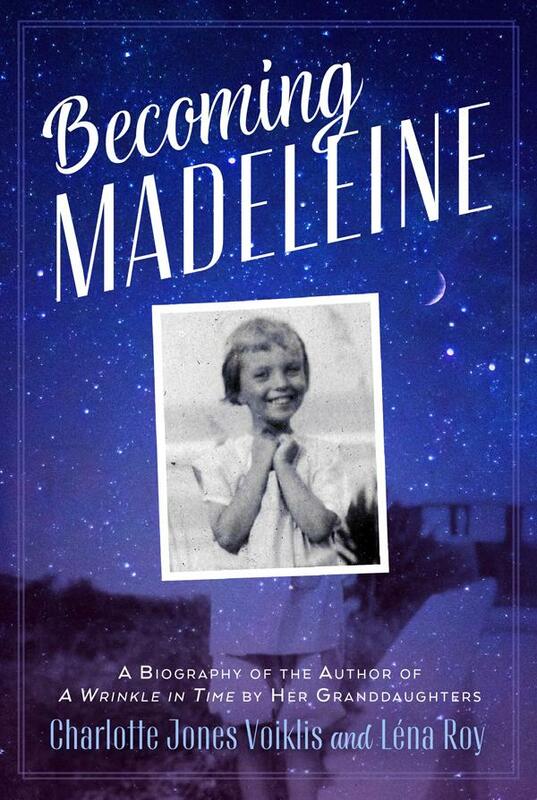 Becoming Madeleine will speak not only to fans of the icon’s work, but also to anyone interested in writing. Grades 4-7. It’s a publishing event when Madeleine L’Engle’s granddaughters offer an account of her life as a writer. And they do her proud, organizing the information well, presenting it clearly, and drawing on her journals for the lively excerpts that make this book so very readable. The biographical text provides a sturdy framework, beginning with L’Engle’s parents’ marriage and ending with the publication of A Wrinkle in Time (1962). An epilogue fills in the main events of L’Engle’s later life and includes Voiklis’ and Roy’s recollections of their grandmother as well as comments on the journals that she kept from the age of 11. Beginning with the reflections of 13-year-old Madeleine attending boarding school in Switzerland, first-person passages appear with increasing length and frequency throughout the narrative. They provide the book’s most vivid insights into the writer’s mind and emotions through her teens, her college days, her experiences living in Greenwich Village (working for actress-writer-producer Eva Le Gallienne), her marriage with actor Hugh Franklin, and her years as a working mother in rural Connecticut and New York City. The many illustrations include reproductions of family photos as well as letters, playbills, and book jackets. A fine tribute to a legendary writer, 100 years after her birth. L’Engle’s granddaughters have produced a perceptive look at the prolific author’s solitary childhood, gawky adolescence, and early adulthood, concluding in 1961 with FSG acquiring the manuscript of the book that would become A Wrinkle in Time. Making generous use of L’Engle’s diary entries (starting when she was 14 and at a Swiss boarding school), correspondence, and memorabilia, the book will appeal to aspiring writers as well as L’Engle’s admirers. The liveliest and most engrossing sections focus on L’Engle’s young adulthood in New York City as she strove to make a career in the theater and as a novelist. Early successes in both arenas gave way to rejection and frustration, but L’Engle persisted, faithful to her need to write, regardless of publication. At 30, she reflected in her journal: “It is just a necessary function to me like breathing and eating and eliminating. And is one of my greatest joys. And one of my greatest agonies.” A personal prologue and a moving epilogue that succinctly touches on L’Engle’s later adulthood from her granddaughters’ perspective are additional highlights, as are the many photos of the writer and her family. Ages 9-12. The Wild Inside by Jamey Bradbury. March 20, 2018. William Morrow, 304 p. ISBN: 9780062741998. Int Lvl: AD; Rdg Lvl: AD; Lexile: 880. Tracy lives to hunt, sometimes spending days in the Alaska wilderness with nothing but her wits and her knife. Ever since her mother died, her father has kept her on a tight leash, especially when it comes to training for the upcoming Iditarod. Tracy’s preternatural drive to hunt is insatiable, however, so she sneaks out regularly, which is where she is when the stranger attacks her. She fights back, waking up with a bruised head and bloody hands, but she’s convinced he’ll return to finish what he started. When her father takes on a hired hand, Tracy’s careful secrets start to unravel, and she discovers disturbing truths about her desperate need to hunt. Though the pacing can be haphazard and Tracy’s folksy, first-person narration doesn’t always ring true, debut author Bradbury cultivates vivid atmosphere with visceral action and a dynamic cast of characters. Tracy’s unsettling compulsion for hunting takes a magic-realist turn early on, which might disappoint fans of straightforward survival thrillers, but patient readers who like earthy, genre-blending, coming-of-age stories should be pleased. 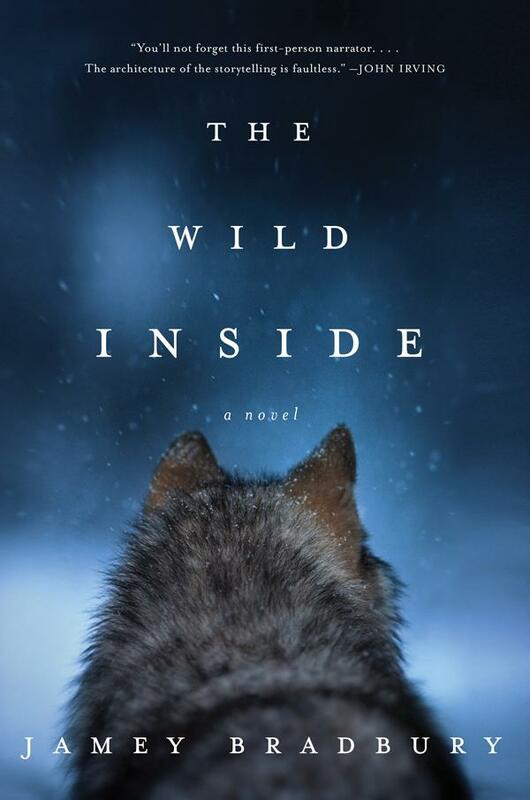 An Alaskan teenager on the cusp of adulthood is drawn to the feral life.Although the folksy and stubbornly ungrammatical voice of Bradbury’s first-person narrator, Tracy Petrikoff, takes some getting used to, it conveys a visceral sense of her world. In the nearly two years since her mother’s death, a month before Tracy’s 16th birthday, her home life has been thrown into disarray. Now nearing 18, Tracy hopes to enter her first adult Iditarod. But her father, Bill, a champion musher, has given up the sport and is deaf to Tracy’s pleas to let her train. Younger brother Scott has retreated into his books and photography. Other than tending the fleet of sled dogs her family still maintains, she is officially grounded—she’s been expelled from school for fighting. However, Tracy easily evades her father’s halfhearted discipline to set woodland traps. Her catches—martens, minks, hares, and squirrels—provide meat for the family and pelts to sell in the nearby village. Furthermore, trusty hunting blade in hand, Tracy gains essential strength from drinking the blood of her prey while also temporarily mind-melding with victims. One day in the woods, a strange man slams Tracy against a tree root and she blacks out. When the man, Tom Hatch, shows up at her home, bleeding from a stab wound, Tracy assumes she inflicted it. Returning to the scene of her supposed crime, Tracy finds a backpack containing wads of cash, enough to enter the Iditarod. Jesse Goodwin, a young drifter, appears, taking on the role of hired factotum. Tracy and Jesse develop a special bond after she learns Jesse was fleeing Hatch. However, Jesse is not what he seems. The ingredients of a thriller with surreal elements are all in place, as Tracy suspects that Hatch has recovered and may be seeking revenge. From here the plot veers off in directions that are not only unexpected, but at time beggar belief. Still, readers will warm to the unconventional persona Bradbury has crafted for Tracy, that of wilderness savant. A strange and soulful debut. Jamey Bradbury’s work has appeared in Black Warrior Review, Sou’wester, and Zone 3. 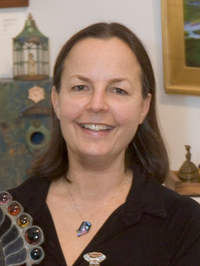 She won an Estelle Campbell Memorial Award from the National Society of Arts and Letters. She moved to Anchorage, Alaska, in 2002 but kept leaving to join the Peace Corps, work in Vermont, and go to graduate school. The important part, though, is that she came back. If you’re ever in Anchorage, she recommends Spenard Roadhouse for drinks, Bear Tooth Theater Pub for movies and burritos, and Eagle and Symphony Lakes for hiking. She hails originally from Illinois.